If you’re a guitar player who is into shredding you’re part of a legacy that includes some of the best musicians in the history of hard rock and heavy metal. You are helping to carry a torch ignited by players like Yngwie Malmsteen, Eddie Van Halen, Steve Vai and Joe Satriani, and continued on today by amazing talents such as Herman Li, Alexi Laiho, Chris Broderick and Jeff Loomis. Shred is about more than guitar calisthenics, and more than technical knowledge. It’s about squeezing every ounce of energy out of six strings and twenty-four frets, and taking the guitar to new heights. Each generation of guitar player builds upon the work of those who came before them, and continues to push the boundaries of the instrument. If you are part of this next generation, you need the right tool for the job. There are a lot of great guitars out there for metal, but if you’re a shredder you need something built just for your needs. There were dark days, not long ago, when such instruments were becoming increasingly hard to find. But fortunately the Age of Shred that started back in the 1980s is seeing a resurgence, and more and more players are pushing themselves to get better on the guitar. The gear manufacturers have responded with some of the best guitars for shredding ever devised. Traditionally, super-Strat style guitars made from brighter tonewoods such as alder or ash and bolt-on maple necks worked well for shredding, and they sounded great paired with overdriven British amps. Like stock Fender Stratocasters, these guitars had great tonal character and clarity, and with a hot humbucker in the bridge position they had the power to push the amp hard. We’ve come a long way from Eddie’s Frankenstein Strat and the copycats that followed, but the basic idea is still the same. These days you’ll still find plenty of instruments out there made in the super-Strat mold, but the best gear makers have greatly improved on that design over the past 30 years. With the rise of high-gain amplifiers like the Peavey 6505 series, and with the trend of many players to detune, manufacturers are incorporating warmer tonewoods like mahogany and basswood, and even employing set neck and neck-thru designs instead of the traditional bolt-on necks. This gives a guitar a more resonant character, and greater sustain. 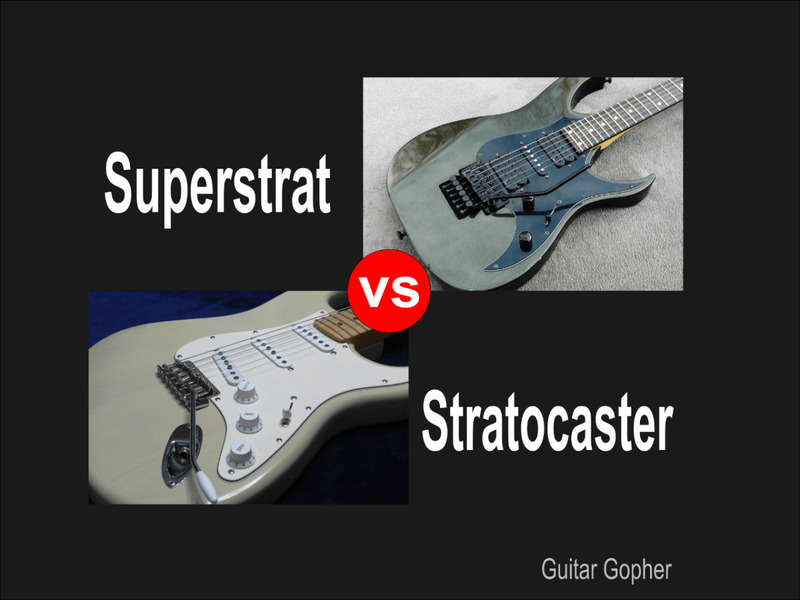 Whether you choose to go the traditional Super-Strat route, or opt for one of the new weapons of metal mayhem, there are a wide range of choices out there for the modern shredder. 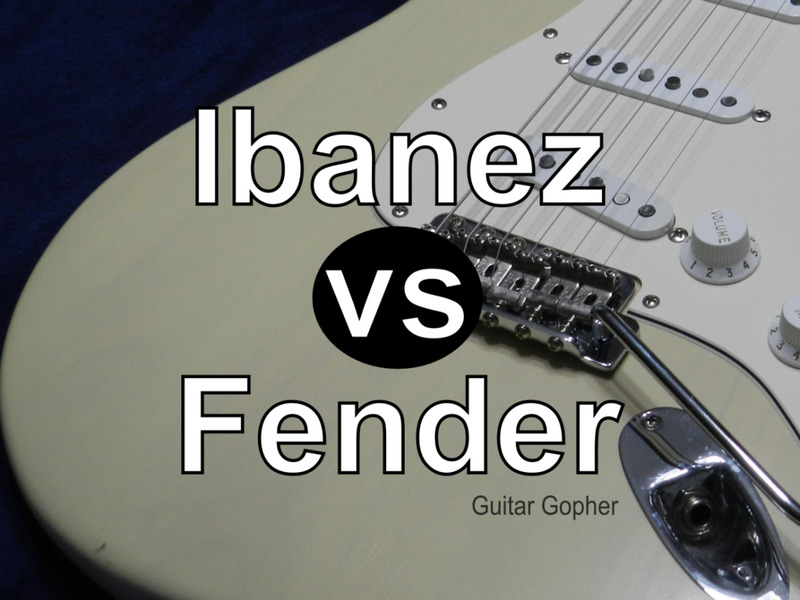 Ibanez is the first name many players think of when it comes to shred. For the past thirty years Ibanez guitars have been played by some of the slickest players in rock and metal, from Steve Vai all the way up to Herman Li. There’s a reason they’ve built such an impressive reputation. Ibanez necks are legendary, and perhaps the fastest in the industry. And their hardware is high-quality as well. Unlike many gear manufacturers, Ibanez makes most of their hardware themselves rather than relying on the brand power of well-known pickup and hardware manufacturers. The result is legendary pieces like the Edge Zero II Bridge, Wizard neck and IBZ pickups. While there are many great Ibanez models, the “S” and “RG” series are the ones that offer the most to the shred crowd. 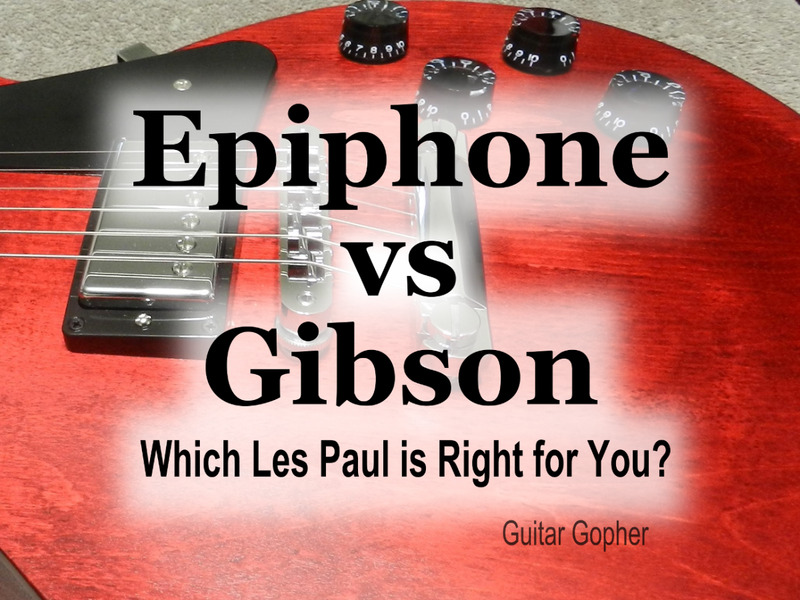 Both are similar in design, with Strat-type bodies, a pair of humbuckers and usually a single coil in the between. But the S is a thinner guitar, with a sleeker design and a contoured top, where the RG is a bit beefier. Even high-end RGs are usually made from basswood, a tonewood that brings some warmth and woodiness. Ibanez S guitars are usually made from mahogany, a resonant tonewood that gives the Gibson Les Paul its character. Both series often feature a maple neck, though other tonewoods may be used, depending on the model. The Ibanez RG: Shredder Heaven! Jackson is another name people think of when it comes to metal, and shredding. The Rhoads, Kelly, King V and Warrior are all amazing designs that put out great metal sounds. Choosing one Jackson model above the others is almost impossible: You just end up feeling like you need one of each! That said, when I think of shredding and Jackson I think of the Soloist and the Dinky. The Soloist is perhaps the flagship of the Jackson lineup, and many of metal’s hottest players have depended on it as their main guitar for years. Born in the ‘80s during the Age of Shred, the Soloist features the basic super-Strat design with two humbuckers, a fast neck and a whammy bar. The Dinky is similar to the Soloist, except for its slightly smaller body size. In the past many Jackson models were available with reverse headstocks, and this became one of the hallmarks of ‘80s metal. You’ll still find a few Dinky models available with these reverse necks. While the basics designs of the guitars remain the same, the appointments, materials and hardware vary depending on the model. Both the Soloist and Dinky are available with bodies made of basswood or alder, and usually feature maple necks. EMG and Seymour Duncan pickups, Floyd Rose tremolos and Dunlop hardware are features typical of several different models. A Stratocaster for shredding? With all of the incredible options we have today, it’s easy to forget about all of the great guitarists who have played a Fender Stratocaster. In many ways it is the original shedder guitar. It was a favorite of shred pioneers like Yngwie Malmsteen, Ritchie Blackmore and Jeff Beck, and even Eddie Van Halen built his legendary guitar from aftermarket Stratocaster parts. The Stratocaster was the model for the guitars like the RG and Soloist that would follow it its footsteps. Yes, even today there are lots of guitarists shredding on the Fender Strat. The Strat is a classic guitar, and for the modern shredder there are good and bad points. 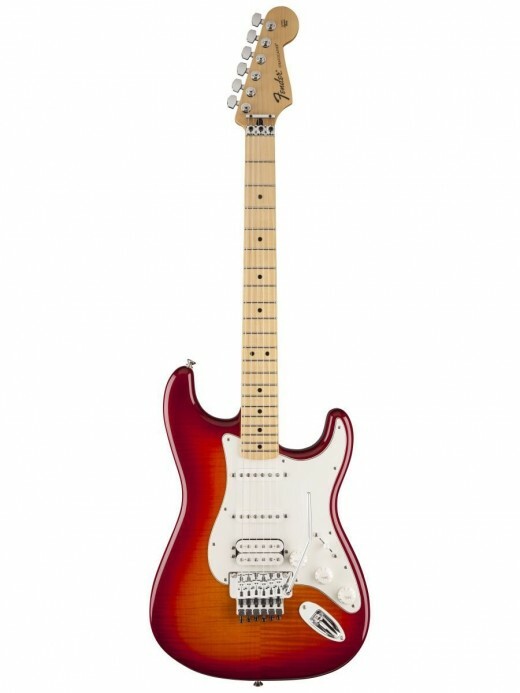 One of the bad things is that Fender no longer makes the American Standard Stratocaster with a Floyd Rose bridge. For players who use the whammy bar a lot, this could lead to serious tuning issues. Then again, Eddie did just fine with a Fender bridge for a long time. On the plus side, at least in my book, is the availability of the one-piece maple neck. This is a tough thing to find on modern metal guitars, and even those with maple fingerboards are usually several pieces glued together. Another plus is that Fenders Strats just sound great, as they always have. They are bright and snappy, usually with alder bodies, and with a humbucker in the bridge position they really nail that classic metal shred sound. Eddie Van Halen is not only the greatest guitarist ever to walk the earth, he might also be the greatest tinkerer. From the time he was a teenager he tweaked and modified his instruments until he got the sound he wanted. But even though his “Brown Sound” tone became legendary, Eddie never rested on his laurels. He went through partnerships with companies like Kramer, Peavey and Ernie Ball in a quest to build the perfect guitar. 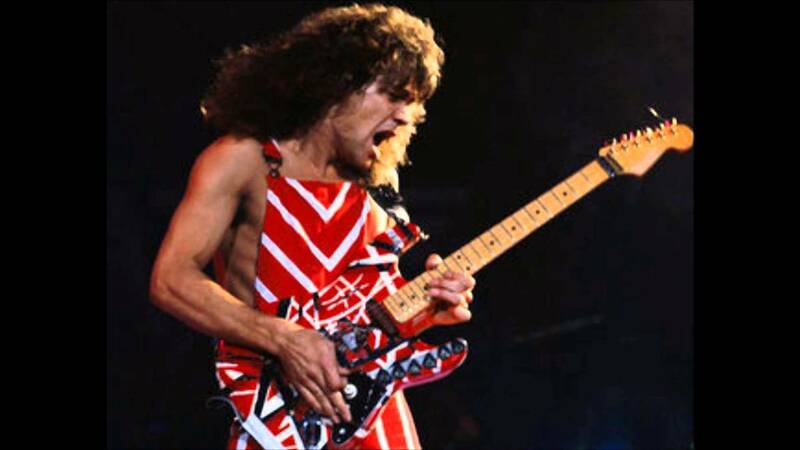 Nowadays, Eddie owns his own company in his EVH brand, and has presented us with perhaps the ultimate creation of his life’s work, the EVH Wolfgang. The Wolfgang combines all the great stuff that makes Eddie’s sound, from custom-wound pickups, to the Birdseye maple neck, to the Floyd Rose with his patented D-tuna system. Wolfgang guitars have come a long way from Eddie's original designs so many years ago. They're now available with hardtail bridges, ornate bindings, ebony figerboards with block inlays and nickel-covered pickups. Charvel was once one of the best guitar brands for shredding, and they're still among the top choices today. Charvel guitars were once well-loved in the metal community, and the San Dimas Stratocaster was legendary. For the uninitiated, the San Dimas Strat was basically a jacked-up Stratocaster made by Charvel guitars in the 1980s. Back then they were everywhere, in the hands of some of the best guitar players in metal and hard rock. If you played metal and wanted a seriously hot-rodded Stratocaster this was your weapon of choice. Today, Charvel is owned by Fender and their Desolation series guitars are great choices for metal players. But if shred is your thing the So Cal and San Dimas models of their Pro Mod series are still where it's at. One more company I recommend checking out is Carvin. These guys build high-quality, hand-made-in-the-USA guitars specifically to your specifications. For the shredder, this means getting all the good stuff you want, exactly how you want. Classic Carvins like the DC series and V220 are built for shred, and Carvins are known for their slick necks. You won’t find them at your local music store though. Carvin sells direct to the buyer from their own website. I hope this article gave you some idea of where to start on your quest for the right guitar to meet your needs. Remember that great guitar players have used all kind of different instruments, and even though the guitars recommended above have served shredders well over the years there is nothing wrong with choosing your own path. My choice? Maybe I'm old-school, but when it comes to shred the Strat-style does it for me, and the Charvel Strat is the ultimate hot-rodded Stratocaster. But I think every one of the guitars mentioned here will get the job done in a big way. Keep on practicing, never give up, and good luck on your quest to find the best guitar for shredding! Your Thoughts: Which Guitar for Shred? What is the best guitar for shredding, in your opinion? Need more options? In the articles below you can read about some of the best metal guitars in the world, many of which have been used by shredders looking for something off the beaten path. There are no rules: Find a guitar you love and play! Metal guitar shootout! Having trouble making a decision between some of the best metal and shred guitar brands on the planet? This article can help you sort things out. 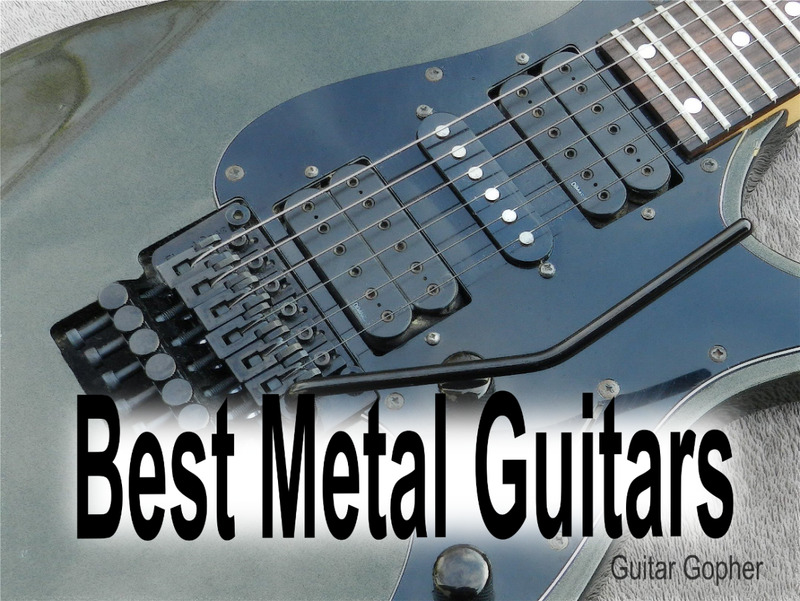 Some of the top guitars for classic metal, extreme metal and shred. They look and sound as metal as you ever need to get. Here's a look at some of the epic metal guitars in the B.C. Rich lineup. From shred to death metal, whatever your style you know B.C. Rich has something right up your alley.